Mumbai : The trailer of Filmmaker Shoojit Sircar's directorial film 'PINK' has been launched today. Bollywood megastar Amitabh Bachchan will be seen as a lawyer in the film. The film also stars Jaya Bachchan, Taapsee Pannu, Kirti Kulhari, Angad Bedi and Andrea Tariang in key roles. Director Shoojit Sircar's directorial film PINK is settled to release on 16th September this year. Afetr the film 'Piku', Shoojit Sircar is back on the celluloid with the thriller movie 'Pink', in which the Bollywood's Shahenshah Amitabh Bachchan will be seen as a lawyer. Amitabh Bachchan, has launched the logo of the movie yesterday. 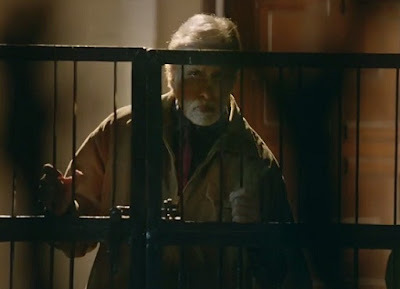 The story of 'Pink' revolves around Deepak (Amitabh) who suffers from bipolar disorder and experiences frequent mood swings. The Shehenshah took to Twitter to share with fans the logo of Pink.